Making your vehicle run green will not only help you save money on gas, but it will also reduce emissions and help the environment. When your vehicle burns gas, air pollution is released – this pollution can reduce the air quality and lead to discomfort and health issues for people and animals, it can also wreak havoc on the environment, particularly the atmosphere. Taking measures to make your car as fuel efficient and green as possible will reduce the environmental impact of your vehicle while saving the planet and helping out your wallet. The more you press the gas pedal the more gas your engine burns. Now clearly you need to burn gas to keep the car moving, but when you accelerate quickly or drive excessively fast you’re burning more gas than you need to, and this can lower your mileage by as much as 33 percent. When any of the tires are underinflated, the engine has to work harder to move the vehicle. Properly inflated tires can improve your mileage by 3.3 percent. 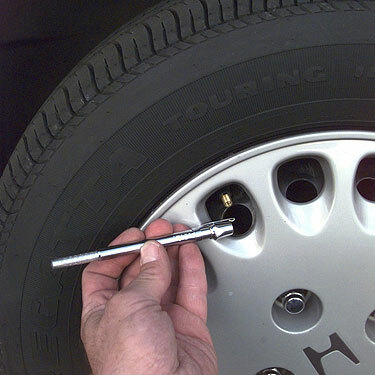 The recommended tire pressure can usually be found on a sticker on the driver’s side door or the door jamb itself. Try to get in the habit of regularly checking the pressure in each tire to ensure proper levels and remember that for every 1 PSI a single tire is under inflated the mileage can be lowered by 0.3 percent. Whenever possible, plan your trips and organize your activities to make your outings more efficient. For instance, if you need to go to several stores that are nearby one another, group those trips together and hit them up one after another. Run errands on your way home from work instead of going home first or pick up groceries at the store nearest the field where your child’s soccer practice is held after you drop him or her off. Sometimes life will get in the way and you won’t be able to combine trips, but do what you can, when you can. 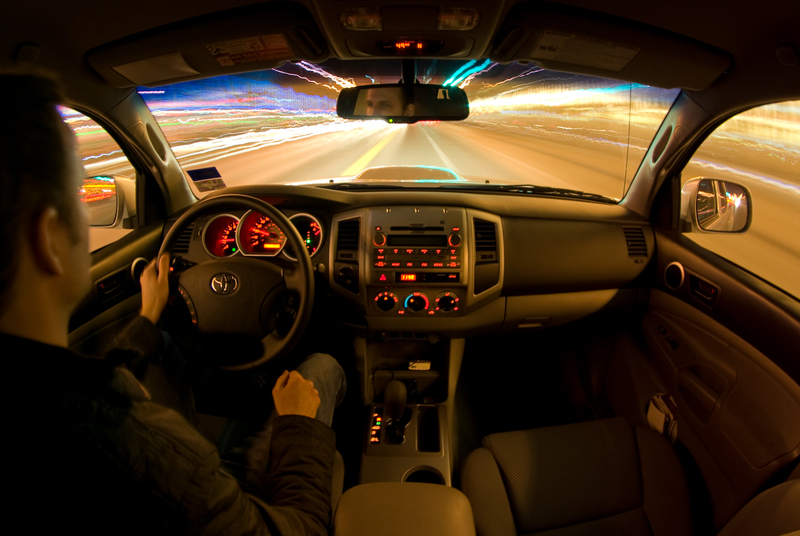 Streamlining your trips will save on miles, reduce wear and tear of your vehicle and save on time. The more your vehicle weighs the more energy (i.e. gas) it takes to move it. Auto manufacturers know this and are always researching alternate materials that will offer the durability and safety of a traditional steal frame, while coming in under the weight of steal – this process is known as light weighting. Reducing a vehicle’s weight by 10 percent can increase the fuel efficiency by 6 – 8 percent. When purchasing a new car its worth considering the weight – this info can be found on the same sticker that lists the appropriate tire pressure. It is also worth considering what items you keep in your car. Driving around with unnecessary items can tack on extra weight and cause you to burn excess gas. Removing tools, sporting equipment and anything you do not immediately need can have an impact. Eliminating 100 pounds of unnecessary weight can improve your mileage by 2 percent. A hybrid vehicle combines two power sources to move a vehicle. Typically these sources are a traditional internal combustion engine that burns gasoline or diesel fuel and an electric motor. Since these vehicles can rely on the electric batteries and motor from time to time there is less dependence and use of the gasoline engine, so less air pollution is released. There are a lot of hybrid vehicles on the market and there are more on the way, so the next time you’re looking for a new vehicle it’s worth checking out a hybrid. Keep in mind that while a hybrid is more fuel efficient you can still put our other tips into practice to really maximize your efficiency and the greenness of your vehicle. To learn more head to Green Living Guy Seth Leitman’s video on one Ford’s C-Max Energi hybrid HERE. Many of the things you can do to improve mileage and make your vehicle greener also reduce unnecessary wear and tear, can save you money and improve safety, so while making your vehicle as efficient and green as possible are clear incentives there are additional benefits. As usual, we would love to hear your eco-tips on saving money by greening your ride. And please feel free to share this post on social media by using the buttons above or link back from your business or personal blog. Good News on Bag Bans in The US…Except Arizona. What Happened There?